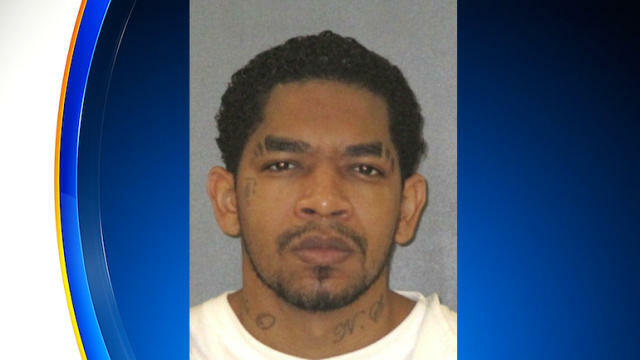 HUNTSVILLE, Texas -- A prisoner on Texas death row for killing a 5-year-old girl and her grandmother in a gang-related shooting at a child's birthday party in Fort Worth a decade ago was executed Wednesday evening. Erick Davila received lethal injection for using a laser-sighted semi-automatic rifle to spray bullets at about 20 people - more than a dozen of them children. Annette Stevenson, 48, and her granddaughter, Queshawn Stevenson, were killed and four others were wounded, including the girl who was celebrating her 9th birthday. Authorities said the April 6, 2008, attack was in apparent retaliation for a previous run-in Davila had with the slain girl's father, who was attending the party. The U.S. Supreme Court rejected an appeal from Davila's lawyers about 30 minutes before the punishment was carried out. "We don't know what is going to come out of a person's mouth when they're on death row," Tyron Shaw, whose aunt and cousin were killed in the gunfire, said after watching Davila die. "The damage has been done. ... As I told my family, you just expect the best and prepare for the worst. "We know that justice has been served, justice has been done. This is something that we would continue to deal with the rest of our lives. We would never get over it. We would never forget it, but we can cope a little bit better." CBSDFW.com reported that ice cream and slices of a Hannah Montana-themed birthday cake were being served at the party when Davila opened fire. About 20 people — more than a dozen of them children — scurried to get inside the home. Six were hit. Two of them were killed. Queshawn Stevenson's sister testified she saw a man inside a dark car holding a gun with "a red dot," and a short time later saw him standing next door and shoot. Davila was caught the next day after a brief police chase. Davila's attorneys argued to the Supreme Court that his execution should be stopped because it was improper for his trial judge, Sharen Wilson, now the Tarrant County district attorney, to request an execution date. They also questioned the role of a lawyer working with Wilson on capital appeals cases who had represented Davila in an earlier appeal. Prosecutors withheld information that Davila was so high on drugs during the shooting that he was "likely intoxicated to the degree that it would have rendered him temporarily insane," lawyer Seth Kretzer told the high court in a filing. He argued that could have influenced jurors to decide on a lesser penalty, and questioned the constitutionality of how Texas juries decide death sentences. State attorneys said Wilson never represented Davila, and state law and court rulings allow her office to represent the state's interests in the case. Prosecutors also argued that Wilson prohibits assistants from participating in cases where they were defense lawyers and that courts have upheld the state's capital sentencing procedure. They said evidence shows Davila's trial attorneys properly were provided notes from police investigators, that voluntary intoxication is not a defense under Texas law and that the shootings were intentional and deliberate. Katherine Hayes, an assistant Texas attorney general, told the justices that Davila told detectives he went "to a shoot 'em up," was trying to "get the guys on the porch" and never mentioned any intoxication to police.